An independent Scotland will continue to be a member of the European Union (EU) and will not have to re-apply according to Graham Avery, Honorary Director-General of the European Commission and Senior Adviser at the European Policy Centre in Brussels. Mr Avery, one of the UK’s most experienced academic authorities on European affairs, has provided written evidence to the Foreign Affairs Select Committee at Westminster. In it he states: “Scotland’s five million people, having been members of the EU for 40 years, have acquired rights as European citizens. The findings were welcomed by Blair Jenkins, chief executive of Yes Scotland who said: “This is an extremely significant and important contribution from an eminent and vastly-experienced European policy adviser. The report follows calls from Liberal Democrat leader Willie Rennie for first minister Alex Salmond to clarify an independent Scotland’s EU membership. He said “The SNP have been guessing that Scotland would continue in the European Union on the same terms. But Scotland deserves facts, not more guesswork. The Liberal Democrat leader’s statement had been preceded by a stormy First Minister’s Questions where Rennie backed Labour leader Johann Lamont’s proposal for an independent judicial review into whether Salmond had lied over taking legal advice on an independent Scotland joining the European Union. Yes Scotland, the principle campaign group for a yes vote at the independence referendum, has announced five new executive directors. The organisation’s chief executive Blair Jenkins OBE revealed that Jacqueline Caldwell, Susan Stewart, Shirley-Anne Somerville, Stan Blackley and Ian Dommett would make up the team. New director of communications, Susan Stewart, is a former senior diplomat who has been director of corporate communications at Glasgow University for the last seven years. Shirley-Anne Somerville was a SNP MSP in the Lothians for four years until she lost her seat at the 2011 Holyrood elections. Since then she has been working as a strategist for the party and she will be the director of communities. Stan Blackley, ex-chief executive of Friends of the Earth Scotland, will be Ms Somervile’s deputy. The director of marketing will be Ian Dommett who has a background in the area including playing a key role in devising and delivering the marketing strategy that helped return the SNP government to Holyrood with an overall majority last year. 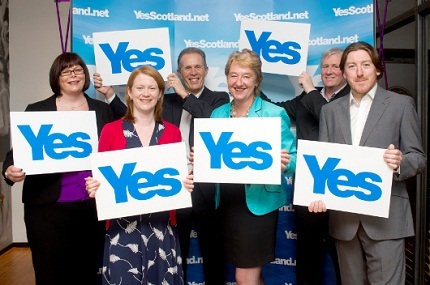 Mr Jenkins insisted that the five new appointments provided Yes Scotland with the strongest possible team. He said: “I said when I took on this role that I wanted a team of the highest calibre to match such an important and historic event in Scotland’s future direction. I can say with certainty that with these appointments this goal has been achieved. “I am thrilled and delighted to welcome aboard Jacqui, Susan, Shirley-Anne, Ian and Stan, marking another major step in building the country’s largest ever community-based campaign. The announcement comes as the group prepares to participate in the first national march and rally for independence on 22 September. The independently organised event aims to give a platform to voices from across the political and social spectrum that back a yes vote in the independence referendum. 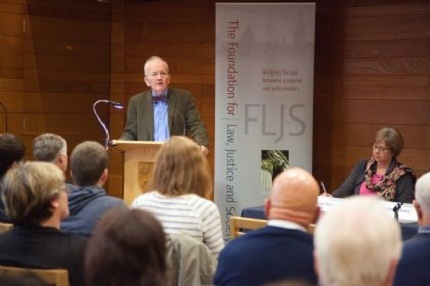 Organisers plan to hold similar events in September 2013 and 2014 in the run up to the vote. The inaugural event which will take place in Edinburgh will feature speakers such as first minister Alex Salmond, Green party leader Patrick Harvie MSP and a host of current and former MSP’s including Margo MacDonald, Dennis Canavan and Colin Fox. The rally and march follows a recent campaign weekend by the Better Together group, which is campaigning for a no vote, which held a number of smaller events in towns and cities throughout Scotland.